Maps in nearly every Ubisoft game quickly become cluttered with map markers. These indicators alert players to missions, points of interests, landmarks, collectibles, and more. It can often feel overwhelming, especially for those that wish to explore the world and experience the narrative organically. Luckily, Ubisoft Quebec has introduced a way to not only declutter the map, but also give players the option to disable map markers entirely. The video’s narrator explained that Exploration Mode works via a “hint system.” When informing players of a quest, NPCs offer general clues as to where the point of interest is located. From there, it’s up to players to follow said clues and discover the objective themselves. 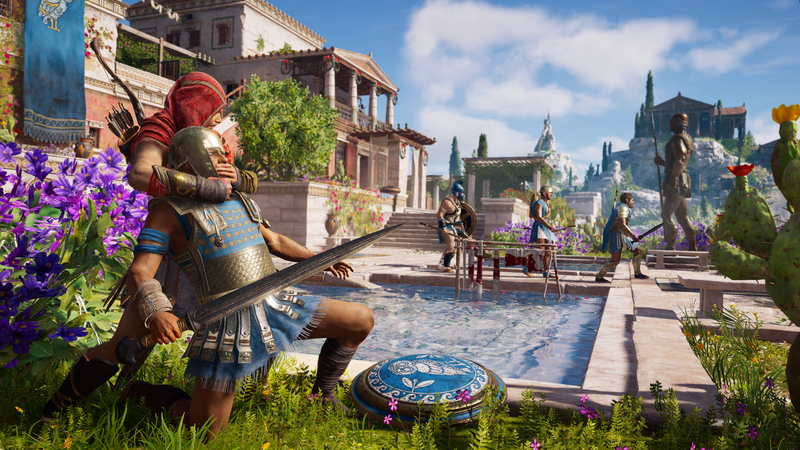 The eagle assigned to Alexios/Kassandra can be called in for guidance, once the player reaches the objective’s general vicinity. If properly implemented, Exploration Mode could very well be the ideal way to experience Assassin’s Creed Odyssey. Exploring Ancient Greece without dots and icons littering the massive map sounds to good to be true, but we’ll get to see it play out for ourselves soon enough. Assassin’s Creed Odyssey drops on October 5, 2018.